The Eternals #11, Page #7. Original Published Comic Book Art. 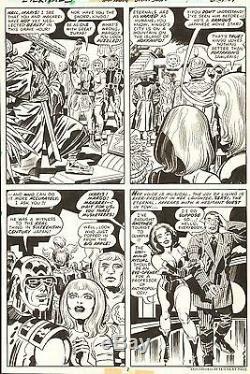 Pencils by JACK KIRBY and Inks by MIKE ROYER. 11" X 16.5" and in very good condition. The item "JACK KIRBY & MIKE ROYER Eternals #11 Original Marvel Comic Bronze Age Art 1977" is in sale since Friday, July 08, 2016.